Handrails - Ottawa Classic Stairs & Bannisters, Inc. 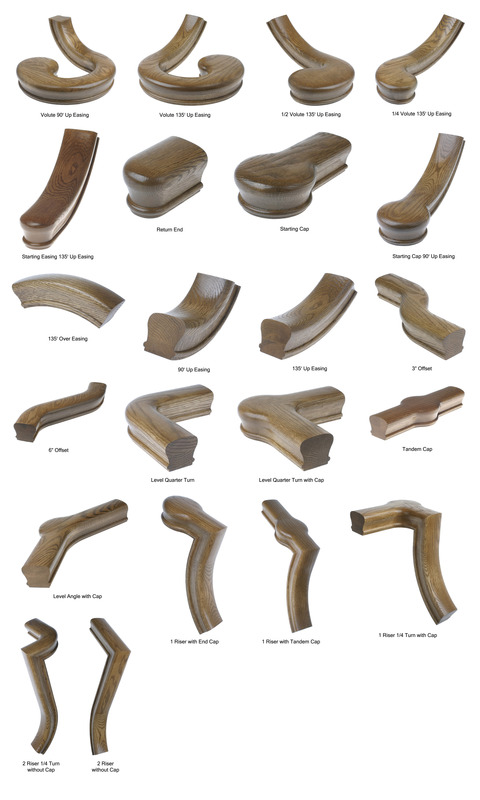 Whether you are building a new home or restoring an old one, our stair parts will fit your needs. All of our stair parts are crafted to exacting standards from the finest grade of hardwoods, such as industry favorites red oak and maple. Other more exotic woods, such as cherry, mahogany and walnut are available upon request. You can be confident that your handrails and other stair parts will be of an uncompromising style, quality, and value.